The first two games in the quarterfinals of the 107th edition of the women’s singles of the Australian Open are beaten and thus the first semi-final is certain. That’s what the two-time Wimbledon champion Petra Kvitova, who had one or two taps on his ticket in the run-up to the most important tennis tournament in Down Under, achieved. By contrast, Danielle Collins is a big surprise. As an unseeded player, the American, who had never won a single match in a Grand Slam tournament before in her career, made the leap to the top four women and now even dreams of a big hit. At Kvitova against Collins speaks the odds clearly for the Czech, who seven years ago at the Australian Open 2012 was already in the semifinals. Not least because Petra Kvitova and Danielle Collins were just facing each other in the first round of the WTA Brisbane 2019 – at the end in a 2-1 victory with the better end for the former world ranking second from the Czech Republic, the tennis tournament in Melbourne theoretically even for the first time in their career could be in first place of the WTA world rankings. Much has to come together for that, but Kvitova’s opposition against Collins seems to be very promising for their first-ever final appearance at the Australian Open. Current ranking in the world rankings: 6. Position in the seedling list: 8. 28-year-old Czech Petra Kvitova has had a near-perfect start to 2019. 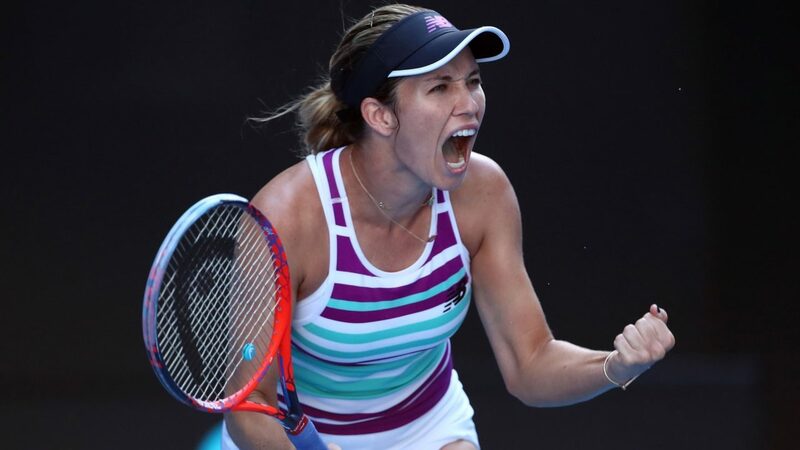 After failing to win at the WTA Brisbane in 2019 over Danielle Collins in the first knockout round after Anett Kontaveit’s final win in the WTA Brisbane in 2019, she already surpassed herself at the WTA Sydney 2019 a week later. At the end of the tournament victory was after Beech, among other things, disenchanted Angelique Kerber with 6: 4 and 6: 1 in all the rules of the art and in the end local hero Ashleigh Barty defeated 2-1 in the final. Just against the Australian, against whom she scored in the quarterfinals now a smooth 2-0 victory (6: 1 and 6: 4). In short: Petra Kvitova is in impressive form and is currently in eleven individual victories compared to a single defeat in the entire year 2019. Particularly impressive in this context is that the two-time overall winner at the Wimbledon Championships (2011 and 2014) all of the previous five matches at the Australian Open smoothly won 2-0 in the process and has never made more than five games in total. An incredibly dominant record, which should give their fans much hope that this 107th women’s singles of the Australian Open will give her a new career highlight. So their first jump in the WTA world rankings with regard to the tournament tree is very likely, because to Petra Kvitova of this still to hold, either Naomi Osaka must move into the semifinals or either Elina Svitolina or Karolina Pliskova reach the final. Judging from the fact that these three athletes have the top favorite Serena Williams in their half of the tournament tree, this is definitely not an easy task. The more motivated the Czech will now go to the point, because what would that be, after all, for a jump to first place, if this would be associated with a defeat in the semi-final against the great outsider from America? This constellation also explains why at Kvitova against Collins the odds so clearly in the direction of the Czech favourite turns out. Current ranking in the world rankings: 35. Twenty-five-year-old American Danielle Collins has never made it to the main draw of the Australian Open in her career. If she failed last season in the third qualifying round, so this time she was automatically qualified as number 35 in the WTA World Ranking, but just started outside the seedling. All the more surprising was her start in the 2-1 first-round victory over Julia Görges, which she followed a number of other gala appearances. The highlight up to now unequivocally: The incredibly dominant 2-0 victory over Angelique Kerber in the round of 16 (6: 0 and 6: 2), in which she gave only two games against the German top favourite. Incidentally, Danielle Collins is in the very best of company when she enters the semi-final as an unseeded player. Last year, this feat was Elise Mertens succeeded. In 2017 Coco Vandeweghe and Mirjana Lucic-Baroni had two unseeded ladies in the semifinals, in 2016 Johanna Konta made it outside the seedling list in this round and in 2015 Madison Keys. Obviously, it belongs to the women’s singles of the first Grand Slam tournament of the year with the fact that it creates a lady in the round of the last four participants, who had virtually no one on the screen in advance. Nevertheless, it has to be said that Danielle Collins has not made too many friends in Down Under. Her aggressive appearance on the pitch ensured that a debate about her manners flared up at the latest after her victory over the 2016 winner Angelique Kerber. During the match, she repeatedly shouted in the face of the former German world ranking first. For example, in a stop ball in which Angie was sprinted to the net. Brisant: The roaring “Come on” scream escaped the American, even before the ball a second time ever came up. The hearts of the fans in Melbourne should fly in this semifinals so doubtless the Czech – and that, although this previously “local hero” Ashleigh Barty could throw out of the competition. Only one match between Petra Kvitova and Danielle Collins so far has been made and this goes back to the first round of the WTA Brisbane 2019. Three weeks ago, the Czech could prevail in the first game of the season 2-1, although the first two sets each went into the tiebreak. Only in the final sentence did Petra Kvitova clearly get the upper hand. Nevertheless, the close match points to the fact that it could become a match on equal terms again. In order to give a tip on Kvitova against Collins on the surprising entry of the American into the final, but in the last resort, the signs are missing. Certainly Danielle Collins has just caught an absolute Sahnet day against Angelique Kerber – possibly even the best match of her entire tennis career completed. Already against Anastasija Pavlyuchenkova she had to fight again in the quarterfinals to solve the ticket for the semi-final. 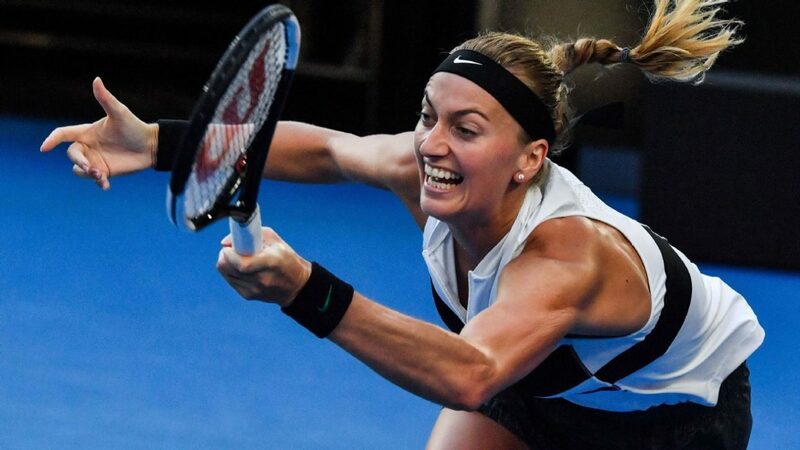 This is contrasted by a Petra Kvitova with an annual record of 11: 1 wins, the first single title in 2019 on the account and above all five smooth 2-0 victories at the Australian Open in a maximum of five games. Accordingly, we see Collins against Kvitova the tip on the first-ever finals of the Czech Republic at the Australian Open as far as possible without alternative. Too surprising it would come if the American now also the last step succeed, especially since all mentioned unseated players of recent years. Although indeed advanced in this semifinals, but there was without exception for all terminal. The low odds at Collins against Kvitova can be increased, among other things, by adding a handicap to the tip. Petra Kvitova, with a handicap of -4.5 games, should be the best possible option given her great run so far at the Australian Open.